How Successful People End Their Day? The 11 Classic British Foods You Must Try When You’re In UK! You Haven’t Been To Ho Chi Minh City If You Haven’t Done These! D.I.Y Bath Bombs – Easy and Cheap! 10 Must-Try Halloween Drinks Recipes! 8 Tea Bag Beauty Hacks – Reasons Why You Should Not Throw Away Used Tea Bags! 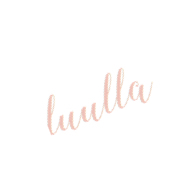 Luulla blog is a destination where you can find daily dose of fashion trend reports and outfit inspirations for daily fashion staples to wearable runway fashion. Get the latest style updates from Luulla.